A rehabilitation hospital specializes in improving or restoring a patient’s functional ability through therapies. Also known as a post-acute hospital, these facilities may be both for-profit and non-profit. They were created in order to meet the perceived need for higher quality professional therapies than nursing care facilities that would be less costly than a general hospital. 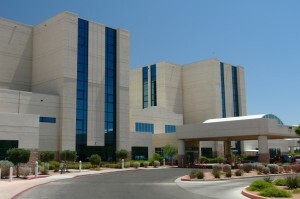 Interested in the sale of a rehabilitation hospital? Ambulatory Alliances is at the head of the pack when it comes to providing merger and acquisition (M&A) healthcare advisory services to all groups involved in the process, including creditors, private equity groups, consolidators, equity investor board of directors, court appointed trustees, landlords, management teams, hospital health systems and physician owners. We start with a thorough and strategic analysis of the business, recommend actions to increase value and then help execute the agreed upon direction. We are with our clients every step of the transaction and more. What’s involved in selling a rehabilitation hospital and when is the most advantageous time to sell? We have worked with numerous physician-owned healthcare organizations to maximize fair market valuations, EBITDA and sales price multiples while solving operational elements that affect the value of the business. Our advisory services include sell-side and buy-side M&A, strategic alliances and joint ventures, assessment and evaluations of strategic alternatives, turnarounds and workouts, and valuations. They also involve raising debt and equity capital from private investors, hedge funds, private equity, local and commercial banks, finance companies and mezzanine/subordinated debt. Our proven experience, distinguished negotiation skills, extensive industry and operational knowledge and close relationships makes Ambulatory Alliances your best bet to make complex healthcare deals happen.